Russia has celebrated its biggest festivity as New Year 2012 was being making its way through the world’s largest country’s nine time zones bringing joy, fireworks and music. Russia's Far East was the first to cross into 2012 – with inhabitants of Vladivostok, Khabarovsk and Sakhalin Island raising a glass of champagne at the same time as Australia and New Zealand. The locals celebrated with fireworks, jazz bands and other celebratory events held on central squares. The New Year then made its way across Siberia, through the cities of Chita and Yakutsk at the same time as it reached Papua New Guinea and Guam. Next with the toasts were the residents of cities of Irkutsk and Ulan-Ude, who fall in the same time zone as Japan and the Koreas. After three hours, New Year reached the cities of Krasnoyarsk and Kyzyl, along with Singapore, Malaysia and the Philippines. As 2012 continued to march across Siberia, it reached such cities as Omsk and Novosibirsk which share time zone with Thailand and Vietnam. Next midnight reached the cities of Yekaterinburg and Chelyabinsk, just an hour before Muscovites celebrated the beginning of 2012. The westernmost point of Russia, Kaliningrad, embraced 2012 one hour after Moscow. 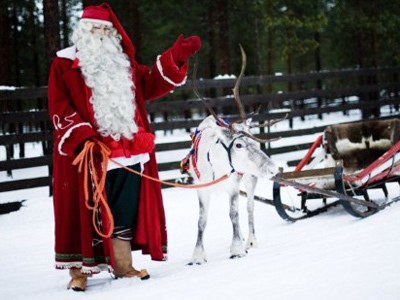 Watch New Year celebrations in Russia's Far Eastern cities of Vladivostok and Khabarovsk. The highlight of the country’s nine-part New Year celebration came with the festivities in the Russian capital. 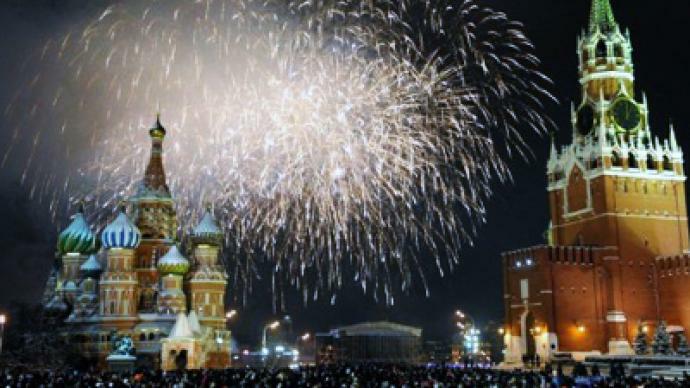 A jubilant crowd on Moscow’s Red Square bid farewell to 2011 and welcomed the New Year as the landmark Spasskaya Tower of the Kremlin struck twelve. He then also posted greetings on his Twitter account, wishing Russians love, happiness, health, while underlining the importance of national unity. As Moscow was saying goodbye to the outgoing year, a group of opposition activists staged an unsanctioned rally in support of the 31st article of the Constitution that secures the freedom of assembly. Some 60 protesters have been detained. 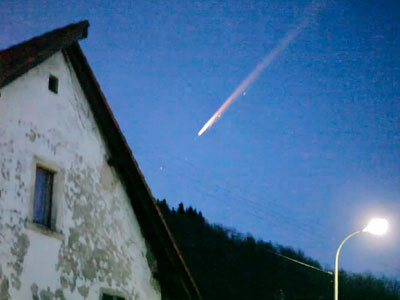 Check out how the rest of the world greeted 2012 here.